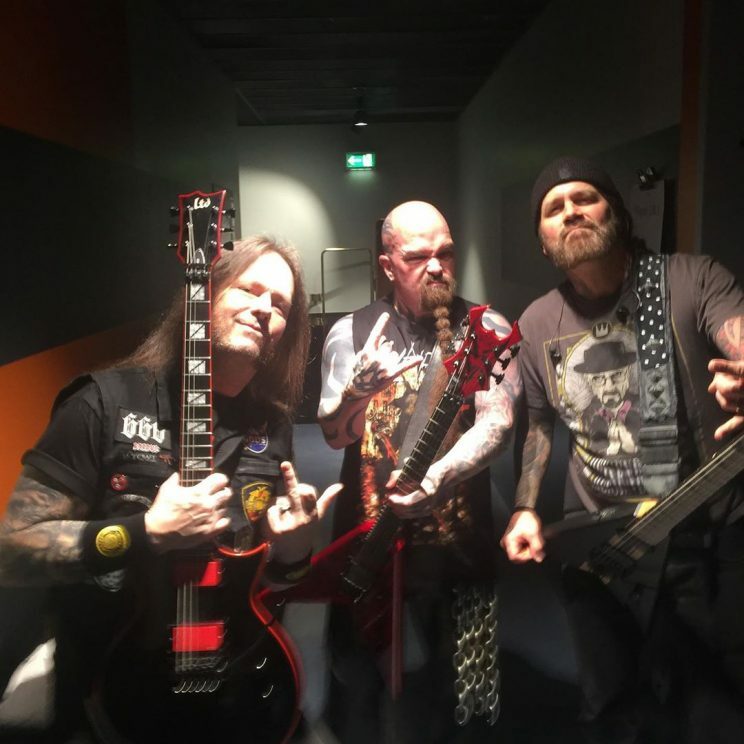 Slayer guitarist Gary Holt will sit out the remaining five dates of the Europian leg Slayer`s Farewell Tour. While Holt heads home to be with his dying father, former Machine Head guitarist Phil Demmel — who just wrapped up 15-year stint with with the band last week — will step in to finish out the tour as Slayer’s second guitarist. “And with that heavy heart I have to announce I am leaving the Slayer European tour. I must return home to help care for my dad in his final moments. Tonight ended with me in tears while finishing Angel of death. But the crowd brought out the best in me. Thank you from the bottom of my heart. I love you all. “And that having been said, I want EACH AND EVERY Slayer fan to give their biggest screams for Phil Demmel @demmelitionmh !! Bay Area legend!!! My dear friend, who having JUST finished a tour agreed to help me and the band out and learn an entire Slayer set in days and come out here so I can return home for my dad. Thank you Phil, you are family, love you bro! “Please give him your warmest welcome.And most of all, I gotta thank @slayerbandofficial , @tomarayaofficial @paulbostaphofficial and Kerry King, you guys are TRULY my family, and have had my back through all what has been the roughest time in my life on tour. And thanks to our ENTIRE crew, and @lambofgod @anthrax and @obituaryband and their crews, knowing you all have been there for me through this, FAMILY. Love all of you.